President-elect Ibrahim Mohamed Solih (Ibu), escorted by his wife and a delegation made up of coalition members, left for Saudi Arabia this Wednesday. 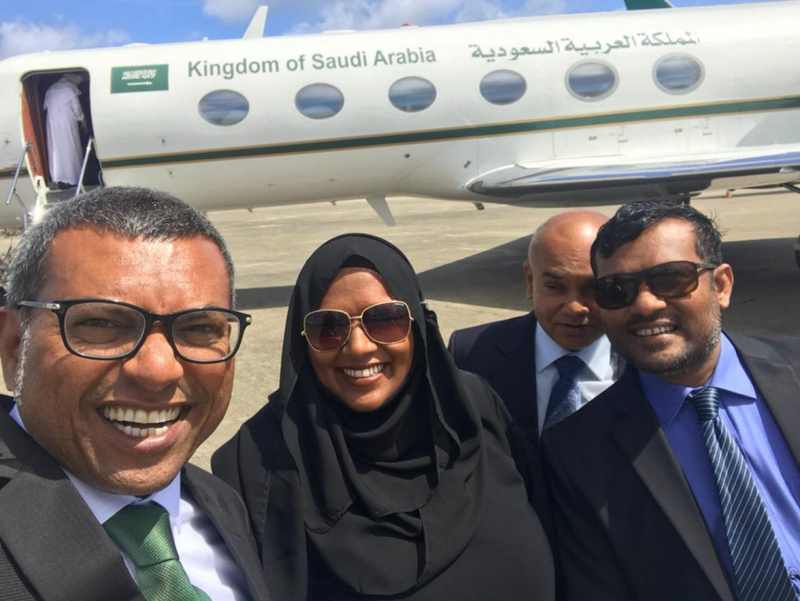 Spokesperson of President-elect, Mariya Ahmed Didi announced last Tuesday that Ibu is travelling to Saudi Arabia to perform Umrah pilgrimage, and that he is also scheduled to meet with senior Saudi officials during the trip. Ibu was escorted on the trip by his wife – Fazna Ahmed, and members of the opposition coalition – leader of Jumhoory Party (JP) and Speaker of Parliament Qasim Ibrahim, deputy leader of Adhaalath Party (AP) Ali Zahir, Mohamed Waheed (Wadde) from Maumoon Reform Movement, former deputy chairperson of Maldivian Democratic Party (MDP) Ali Shiyam, Alifushi MP Mohamed Rasheed (Bigey), and attorney-at-law and brother of former Maldivian President Mohamed Nasheed – Nazim Sattar. Ibu is scheduled to return to Maldives on Friday.